We all know cyber crime is a major problem, but just how big is its worldwide impact? A new report from McAfee and the Center for Strategic and International Studies (CSIS) reckons it costs businesses almost $600 billion a year or 0.8 percent of global GDP. Global losses in 2014 were estimated at $445 billion and the report puts the increase down to criminals quickly adopting new technologies, the ease of engaging in cyber crime -- including an expanding number of cyber crime centers -- and the growing financial sophistication of top-tier criminals. 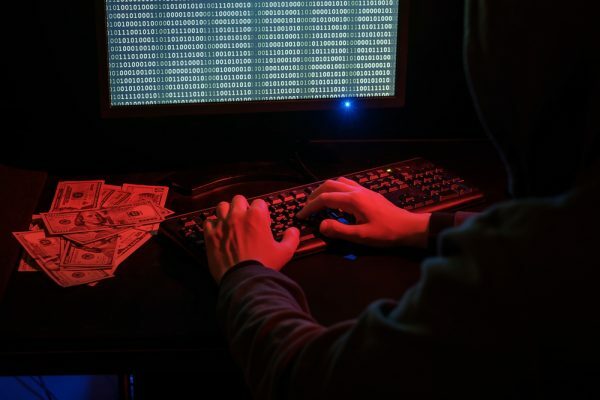 Banks are still the favored target of cyber criminals, and nation states are the most dangerous source of cyber crime, the report finds. Russia, North Korea and Iran are identified as the most active in hacking financial institutions, while China is the most active in cyber espionage. "The digital world has transformed almost every aspect of our lives, including risk and crime, so that crime is more efficient, less risky, more profitable and has never been easier to execute," says Steve Grobman, chief technology officer for McAfee. "Consider the use of ransomware, where criminals can outsource much of their work to skilled contractors. Ransomware-as-a-service cloud providers efficiently scale attacks to target millions of systems, and attacks are automated to require minimal human involvement. Add to these factors cryptocurrencies that ease rapid monetization, while minimizing the risk of arrest, and you must sadly conclude that the $600 billion cyber crime figure reflects the extent to which our technological accomplishments have transformed the criminal economy as dramatically as they have every other portion of our economy." The report measures cyber crime in North America, Europe and Central Asia, East Asia and the Pacific, South Asia, Latin America and the Caribbean, Sub-Saharan Africa, and the Middle East and North Africa. Unsurprisingly, cyber crime losses are greater in richer countries, however, the countries with the greatest losses, as a percentage of their national income, are mid-tier nations that are digitized but not yet mature in cyber security capabilities. You can find the full report on the McAfee website.